Is Gymnastics “Fantastic” or “Drastic”? 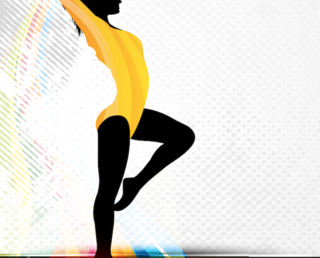 To celebrate the recent National Gymnastics day, we take a look at how gymnastics affects the human body in both the short and long term? Do the health benefits outweigh the potential dangers? And is this a sport to be encouraged amongst the young US population, or one to be avoided? If you had to choose which would you prefer: Sprinting or Distance Running? Understanding how skeletal muscle works is essential for aspiring athletes and their physical therapists and sports coaches. But it’s also good for us to understand so that we can improve our own physical fitness, regardless of what level we’re at. Do you suffer with Back Pain? You’re not alone..
Back Pain is something that affects millions of Americans every year and low back pain accounts for a fifth of all visits to a physician in the U.S. Whilst numerous issues can cause back pain, as our population becomes heavier, it is more important than ever to reduce the strain we put on our backs. Light at the End of the Pain Tunnel?